In Bali there are many Chapels as a choice for couples in perform their religious wedding ceremony without the formality usually found in Churches. The ceremony held in a chapel is less formal but it is still a sacred occasion. Most of these chapels are built according to modern minimalist concept with the local touch, with walls, and sometimes the aisles, also made of glass. Thus the transparent walls can present the outdoor setting like ocean or garden view which can add more aesthetic values for the occasion. Bali Wedding Style will be able to help you arrange the schedule with the ministers to choose the best date and time for the event. Some chapels have their own banquet service but you will have the options to obtain the service from other resources which we can also help you with. Since the chapel wedding chapel in Bali is a unique occasion, the prices can be various from budget to luxury packages. However, the couples can always arrange an adjustment between requirements and the budget. For your consideration, couple can choose one of the Chapels are exist in Bali, from location at Kuta, Uluwatu, Pecatu, Nusa Dua, Jimbaran and Marga Tabanan. In every chapel you will find different view or panorama as the background of your wedding ceremony. In Bali, you can find many kinds of villa which can also represent excellent arrangement for accommodation and wedding venue/party which offer you several advantages from Privacy for your special event since only your invited guests who will be there, considerable savings on food and beverage since all meals is prepared by your own personal cook and the beverages such as champagne, wine, spirits, beer & soft drinks which are all self purchased. 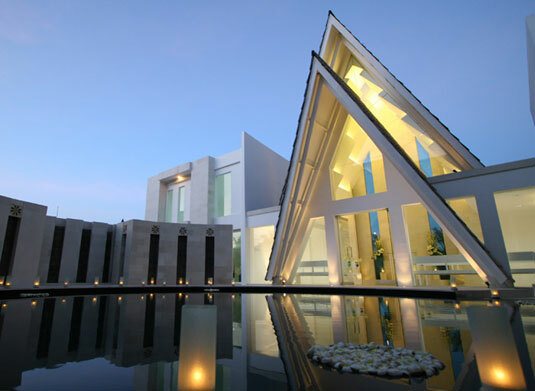 Every villa have a different style and exotic view or panorama as their background. Bali Wedding Style will assist the couple to plan their budget Villa Wedding. Villa wedding will offer you total private reception, comfort and convenience with personal services and the venue bring deep intimacy amongst the bride and groom, family, friends and invites plus your party completely undisturbed. Bali offer many beaches with exotic panorama with sunrise or sunset. Some couples love to do a religious wedding procession on the white sand of the Bali’s beaches. Combined of beautiful sunset panorama with the sound of the wave and wind blow at the beach, it will be a very special and magic moment in their life. 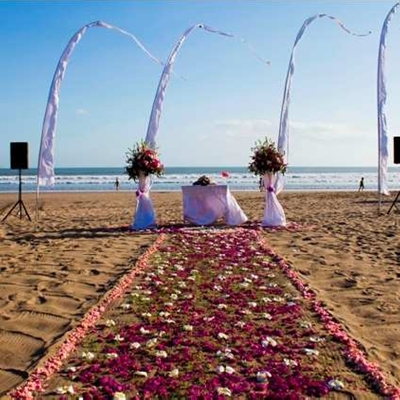 The best beaches are suitable to do a wedding ceremony, like; Jimbaran, Seminyak, and Kuta. 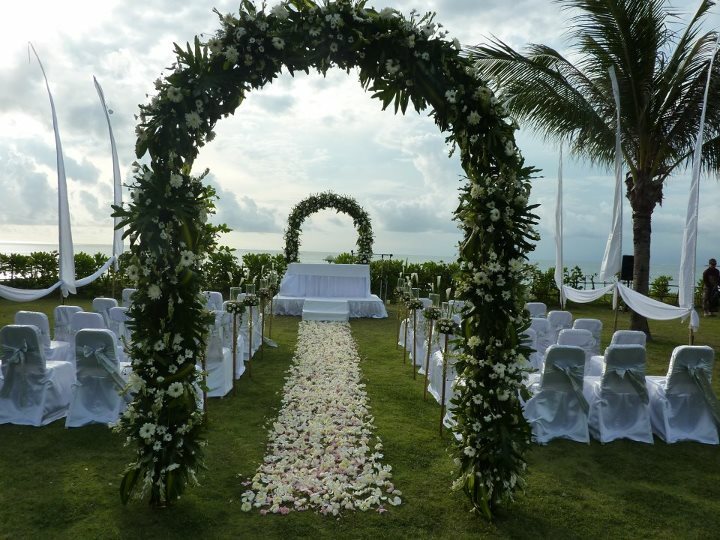 Bali Wedding Style is ready to assist to organize your Bali’s Beach Wedding as your dream. 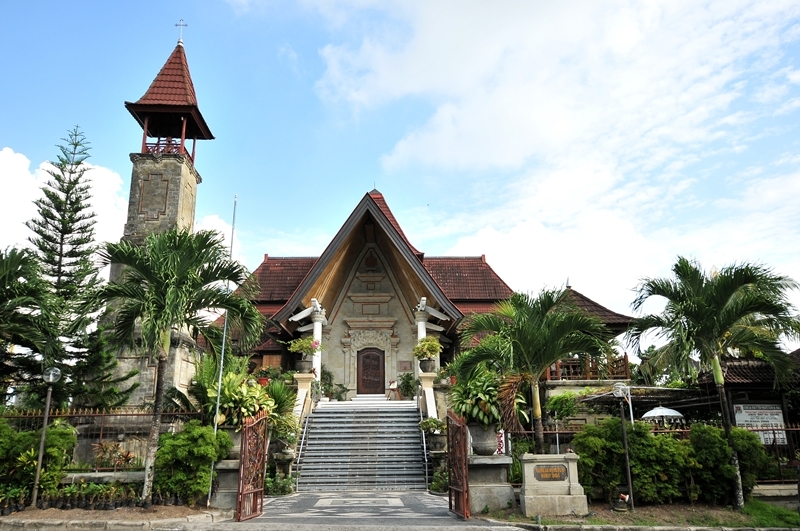 In Bali you can find some churches are suitable to used as a place of your wedding ceremony. The churches of Protestant Christian or Catholic Christian were built by combination of modern and Balinese architecture. 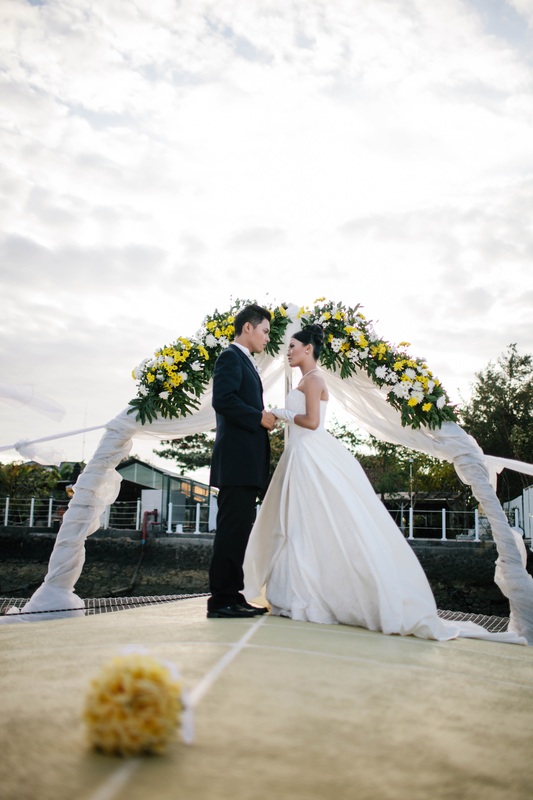 Most of the churches are located at Denpasar City, but also you can find churches are usually use for wedding ceremony like in Kuta or Nusa Dua. We love to assist you in arrange your wedding at Church in Bali, just contact us for further information of Bali Church Wedding. On luxurious catamaran, capture unforgettable pre-wedding Photographs for 3 hours with blue ocean and colorful Bali sunset as the backdrop. Applicable for up to 6 persons. Refreshing cold towel, tropical fruits and soft drinks will be served complimentary. 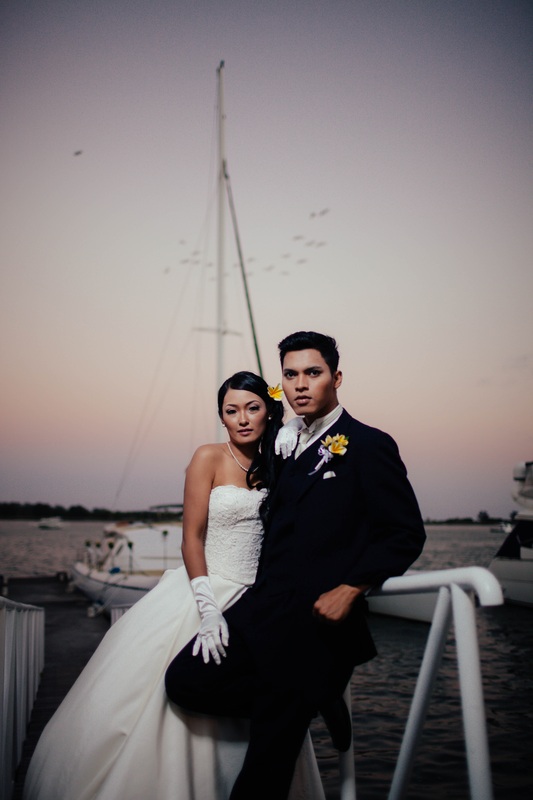 Floral decoration on the catamaran, hand bouquet, boutonniere, are available at additional charge. Legal wedding package ( Inclusive of ) : English speaking celebrant & civil minister, religious & Civil marriage certificate, Document processing, wedding assistance during the ceremony, welcome board, ring pillow.